Knowing a little about the tournament’s namesake gives a little more meaning to the trophy given out. For the second time in three years we won the Sig Makofski Tournament. In the opener we beat the host Union College 69-47. This shows the quality of the teams in the tournament. The host team normally schedules the team they feel they had the best chance to beat in the first game so they can play in the championship. Obviously that did not work out so well for Union. However, they went on to win the consolation game against Elms who finished last year 26-2 and ranked 12th in the country. We on the other hand advanced to the championship to play Montclair State. To say Montclair and Gordon play differing styles would be just the tip of the iceberg. They have an enrollment over 5x larger than Gordon’s private Christian school enrollment. Their team roster contains more outstanding athletes than we have at our entire school and they play a style that reflects that. It was truly a battle of contrasts that in the end resulted in a 61-53 Gordon victory. We had three players named to the All-Tournament team including the MVP. This tournament has just been the tip of the iceberg. Crap, I already used that cliché? Umm… how about that just got the ball rolling? Let’s go with that one. After starting the season 4-3. We felt we had some real momentum after the tournament but everyone knows conference play is a completely different animal. 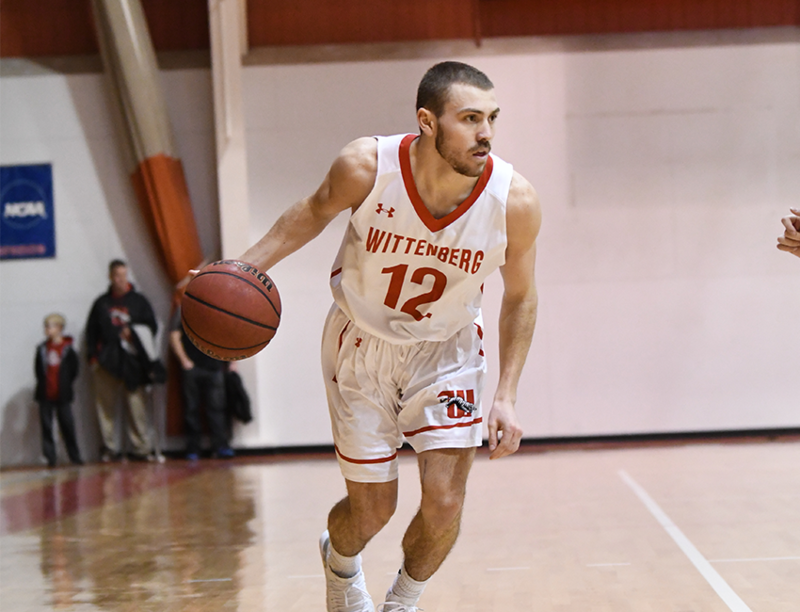 (See Huskies, Connecticut) we began the family reunion with a 57-49 win against Wentworth Institute of Technology. They start 6’11”, 6’6″, 6’5″ in their front court, a rarity in our conference and it was a matchup between two of the top 10 rebounding teams in the country. We followed that win up with a hard fought win against a scrappy and much improved Anna Maria team on the road and an 81-58 rivalry win in a “holy war” game against one of the only other Christian Schools in New England, Eastern Nazarene. With that victory we have run our record to 10-3. Those three losses, while still losses, are by a combined 8 points to the #9 team in the country in overtime, MIT, a quality Westfield State team, and a loss to our biggest rival Endicott College. A couple of different bounces and we could be looking at couple of more wins. We could play the “what if” game all day and every team in the country has a reason why their record should be better. However, what I want to talk about is the extreme parity I have seen throughout the country this year, especially New England, as evidenced by 4 of the top 5 teams in the country losing last week. No one seems to want to take a stand as the best team in the country. To prove that point, I will use the famed transitive property of basketball to prove who should be dangerous come tournament time. Oh that is just the Northeast and it doesn’t work for the rest of the country you say? MacMurray (3-10) beat Webster (8-7), who beat Spalding (6-9), who beat Mt. 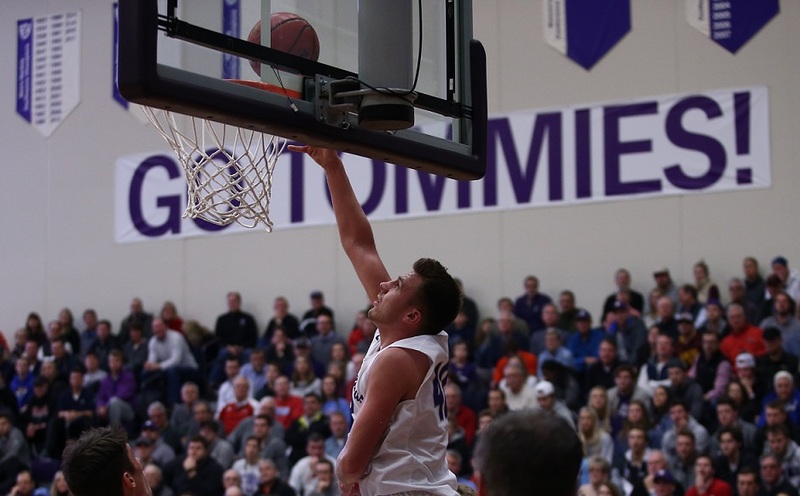 St. Joseph (8-7) , who beat Thomas More (12-4), who beat Transylvania (9-7), who beat Wash U (12-2 #4 in the Top 25). Therefore MacMurray (3-10 ) is better than #4 Wash U (12-2). Encore? Ok, just this once. There are plenty more where these came from. What do they all mean? Absolutely nothing. Except that parity is everywhere in DIII basketball this year. Everyone knows that the transitive property does not work in sports and the only way to find out if a team is better than anyone else is to play head to head (except in college football where everyone knows computers do a much better job of determining champions.) If a team does not show up ready to play anyone could beat them on any given night. Except maybe if Sig Makofski was coaching. The holiday season is filled with lots of great traditions; waking up extra early to open presents, spending time with family, decorating the Christmas tree, watching White Christmas and other traditional Christmas movies, baking Christmas cookies, admiring the beautiful Christmas lights. I love Christmas; for all of these reasons. 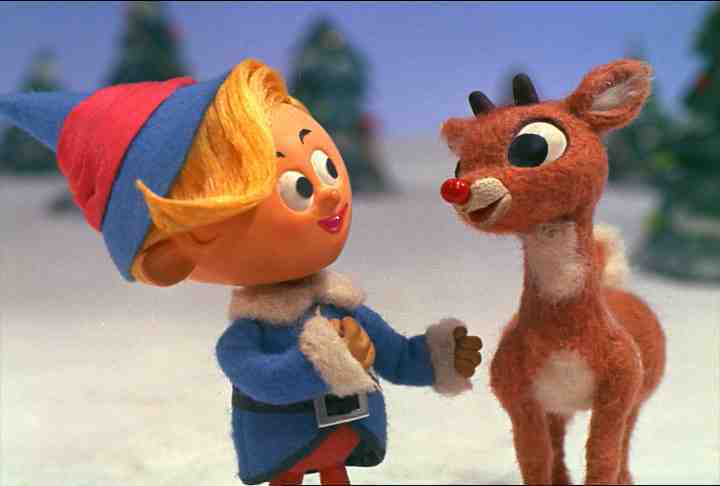 One of the best traditions is the CBS Rudolph the Red-Nosed Reindeer special that plays every year. In that movie, Rudolph travels to an island called “The Island of Misfit Toys.” It is this island that has given rise to my grand theory of DIII basketball. (Trust me, I have thought this through, just stay with me.) While on this island Rudolph and his loveable band of misfits encounter, among other things, an elephant with red spots, a train with square wheels on its caboose, a bird who swims, and a cowboy who rides an ostrich. All of these toys are functional, even endearing some may say, (I mean, wouldn’t you want an elephant with red spots?) but because of one flaw they have been banished to a remote island to toil away in anonymity. In my last posting, I went on a quasi-rant about how most people not associated with DIII basketball do not understand the quality of basketball that happens at our level. Every year there are DIII teams who manage to beat quality DII and DI opponents. This year, we saw Randolph-Macon beat last year’s Patriot League Champion, American. In years past we have seen the likes of Holy Cross, Princeton and George Mason fall at the hands of DIII teams. While I am not saying Randolph-Macon should make the jump to DI and plan to win the Patriot League this year. I am saying that many DIII teams can compete with teams at levels that are often considered “higher,” on a given night. This is not a fluke. It is because the skill level at each of the NCAA divisions does not differ drastically. The difference is usually one or two attributes, other than individual skills, that push a DI kid above the DIII level (Kevin Durants and Michael Beasleys excluded). A great shooter is a great shooter regardless of division, great post moves are great no matter what the front of the jersey says. In Division III however, many of the great shooters may not have the quickness or size of a DI guard. Many post players that I have seen have DI level post players at our level but simply lack 4 inches, a 40 inch vertical, or the foot speed a DI program looks for. Examples, that’s what this column needs, concrete evidence of what I am talking about. I will leave names out of this, but trust me, I’m not making these players up. The first one is a teammate of mine. He is currently shooting over 60 percent from the 3 point line on over 5 attempts per game. Yes you read that correctly. OVER 60% FROM 3!!!!! I CAN’T STOP USING CAPS!!!!!!! I rebound for him every day in practice and I would put him up against any shooter in the country at any level. Think about that. 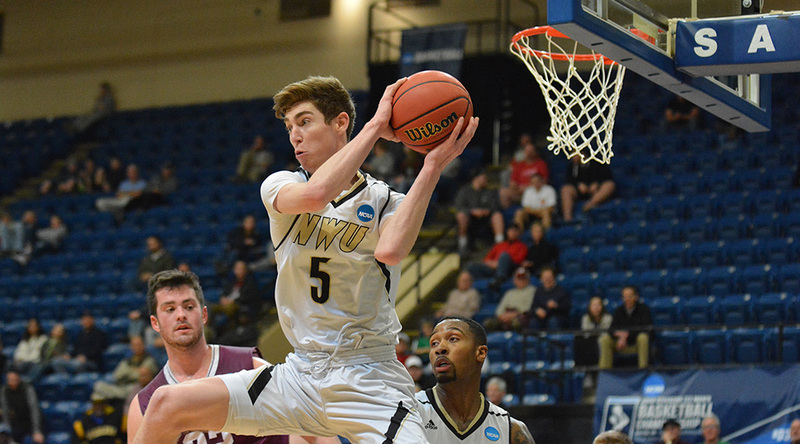 The best pure shooter in the entire country may play in Division III. The fact that he is not going to throw down a tomahawk dunk anytime soon does not change the fact that he is an elite shooter. My next example comes from another New England Region team. There is a post player who has averaged over 18 points and 8 rebounds per game and on multiple occasions has scored over 40 points in a game. He is the toughest post player we have faced because of his phenomenal post moves and his understanding of post positioning. There is one catch; he’s 6’4″. Give this man 4 inches and he is in a DI program right now. Instead, he is in the division of misfits putting up great numbers and validating our level of play. The last example I will use is of another guard. This player returns this year as a 1st Team All-Conference selection and is currently averaging 19 points, 4 assists, and 3 steals per game. I recently watched this guy play, and the kid is a stud. He’s one of the quicker guards I have watched, has a great looking jump shot and can get to the rim with ease. Yep you guessed it, there’s a catch. He’s generously listed at 5’4.” Guys with his skill level are all over the Division I level. Division I coaches however, tend to shy away from guys who are shorter than Napoleon. This is their loss and our gain. Players with DI skill level who play at the DIII level only give our division the validity we need to sleep well at night, knowing what a great level of basketball DIII is. We are able to combine the greatest attributes of all divisions. Great basketball, true student-athletes, and players who play for the love of the game. I am so excited to write for D3hoops this season. As most Division III basketball players can relate, I have looked at this site more often than NBA refs miss traveling. (See Majerle, Dan). Anyways, it is great to follow some of the successful bloggers of the past like Sean Wallis from Wash U and Mike Dietz of Baruch. Hopefully there is a correlation between deep NCAA tournament runs and D3hoops bloggers. Before I get too far, I want to give a little introduction to myself and our team. My name is Aaron Trigg and I am one of six seniors and 14 returning players to the Gordon College Fighting Scots. I don’t know what a Fighting Scot is, but if it is anything related to our logo it must be a member of the ferret family. We are a non-denominational Christian college located 30 minutes outside of Boston in Wenham, MA. Gordon is a member of The Commonwealth Coast Conference (TCCC). From the department of redundancy department “the” is part of our acronym. Saying “The TCCC” is actually repetitive and completely unnecessary. I could bore you with more details about our school but there is plenty of time for that later. • We are the only team in America who has a player who posted his own You Tube video of Hannah Montana’s Hoedown Throwdown. • We are the only team in America whose entrance music for home games is the theme from Space Jam. • We are the only team in America who has debated which team member would look best in a dress. • We are the only team in America who has been to Chuck-E-Cheese’s five or more times this Fall. • We are the only team in America who awards the “Selfish Award of the Week” going to whoever has been the most selfish person we know. We even have a board for past winners (or losers, depends how you look at it). • We are the only team in America that sings a cappella before games. • We are the only team in America with a life size poster of one of our captains in our living room. • We are the only team in America whose starting point guard must stretch for 2.5hrs before any physical activity, including biking to class. • We are the only team in America whose Halloween costumes included a cow, a farmer, Fred Flintstone, Barney Rubble, a guy riding a pony, and most randomly… a shark eating a person (It was inflatable, and awesome). These are just a few of our unique characteristics. If anyone out there would like to challenge our self proclaimed Only Team in America title, I would be glad to know. We would appreciate some company. Back to what I’m supposed to write about. Our group of seniors has had very high expectations since we stepped onto campus 3 years ago. It has been our goal to transform Gordon into a nationally recognized program and we feel we have an opportunity to do so this year. With a veteran led team and a strong group of underclassmen we seem poised to reach our lofty goals. As everyone in basketball knows, nothing comes easy. We will have to work harder than we ever have and compete on every possession if we want to reach our potential. This will be an exciting season and I am looking forward to giving an inside view of our small college team looking to make a name for ourselves on a larger stage.